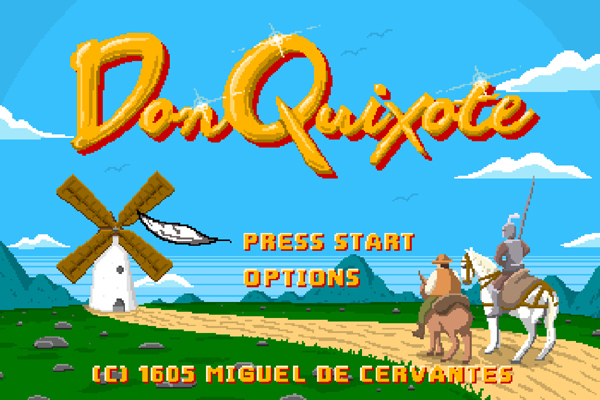 Don Quixote | The Video Game. The piece is a result of literary analysis combined with retrograde graphic technology. Using Photoshop and Illustrator, the artist created a vision of what the novel could have resembled had it been filtered through early CPUs and finite screen resolution. The illustration shines as a playful retelling of the idealistic story elements found both in heroic retro video games and the timeless novel that parodied them. 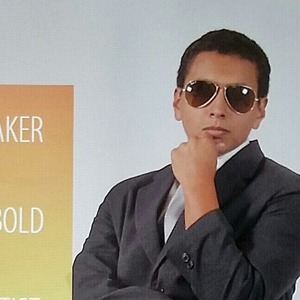 Carlos A. Torres is a Designer and alumnus of the NC State College of Design. He has 3+ years experience in professional graphic and product design/development. His experience and skills include design for print, web, illustration, and product development. He has designed layouts, logos, and graphics for use with children, adolescents, adults, teachers, musicians, and writers. Since his full-time employment status at iRT in 2012, he has worked as Graphic Designer and Spanish translator for multiple iRT projects including Media Detective, Media Detective Parent Night, Media Ready, and the Moment Program. He is an expert in the use of Adobe products such as Illustrator, InDesign, Photoshop, After Effects and Lectora eLearning Authoring software. He is currently available for freelance work and actively involved with the Durham and Raleigh design community.